The facilities, beach, service, and overall quality of my stay was exceptional. 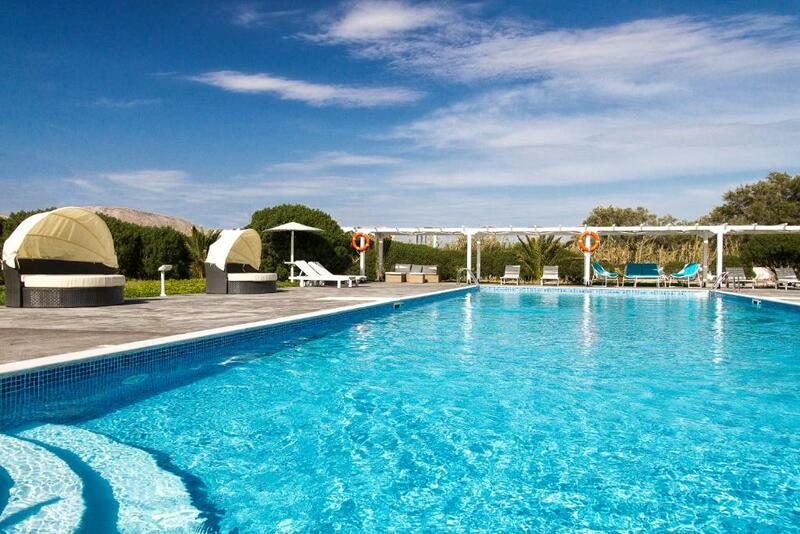 Ideally located in Santorini, away from the mass crowds and tourist traps. The staff is wonderful and charming, always looking to create comfort and a lovely experience for the guests. Thank you for an amazing stay in Santorini! The staff were awesome. Very friendly and very helpful. The pool was great and it was a lovely relaxing atmosphere. Enjoyed the food at the pool bar. The facilities are very clean, well cared for and attractive. 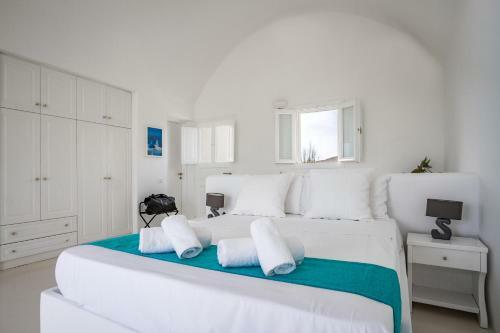 The rooms themselves are bright, open and airy. Our room had a nice balcony, with views of the sea. The bathroom was spacious, the bed and linens were soft and comfy. We stayed for 5 days. The staff were fantastic and made us feel we were in our home. Very clean and comfortable apartment. I think this is the best place in Santorini- away from crowds yet close to all interesting places. Highly recommend! The Staff at Sea Sound were amazingly friendly. My expectations were low since in previous years Greeks are not as polite. I was truly impressed with the staff and with making my family few welcome. I had lost my luggage traveling from the States and these people jumped through hoops to find it for me. I would definitely recommend it. The enormous space and quiet environment. Extremely relaxing for real rest and vacations brake. In a crowded island it offers an island of quietness and peaceful rest. Visit the city for dinner, drinks then return for very quiet night and rewarding morning. Very nice hotel. We were greeted and given our suite even early morning when we arrived. Also we were offered a breakfast so that we do not wait for our rooms outside. Joanna at reception was a treasure we cannot thank her more - her advices helped us a lot. It was a nice place to stay ant rest. Lock in a great price for Sea Sound White Katikies – rated 8.7 by recent guests! One of our top picks in Perivolos.Located on the seafront between the beaches of Perivolos and Vlychada, the Aegean-style Sea Sound White Katikies is set amid a private area of 33 acres. Just a stone's throw from the vivid Perissa, it offers an outdoor pool and an open-air deck restaurant. The complex features luxurious houses and suites tastefully styled in respect to Cycladic architecture. Each air-conditioned unit has free WiFi, a kitchenette and satellite TV. They all enjoy sea or side sea views. Daily maid services are provided. Start your day with a healthy breakfast at the property's dining area. When the sun goes down, guests may linger at the lounge bar with a glass of champagne or savor the experience of a great wine . As for your dinner, you can enjoy it either at the lounge restaurant or in a private candle light set-up on the beach surrounded by the vibrant atmosphere of the sea side. More facilities include a beach volley field and a table tennis. Guests may also enjoy a rejuvenating massage in the treatment area. 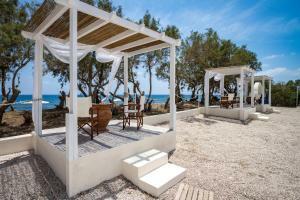 Perivolos Beach, the largest sandy beach in the island, is just a short-drive away. Traditional taverns can be found at the village of Vlychada, 1.2 mi away. 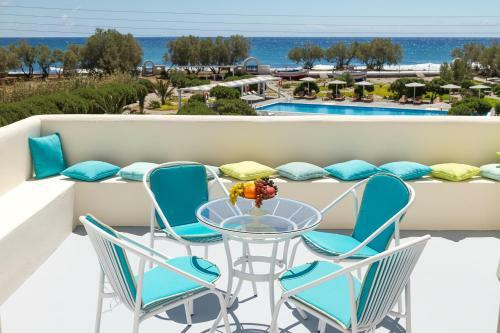 Sea Sound is located 7.5 mi from the cosmopolitan Fira Town and 5.6 mi from Athinios Port. Santorini International Airport is at 12 mi. Free private parking is possible on site. When would you like to stay at Sea Sound White Katikies? 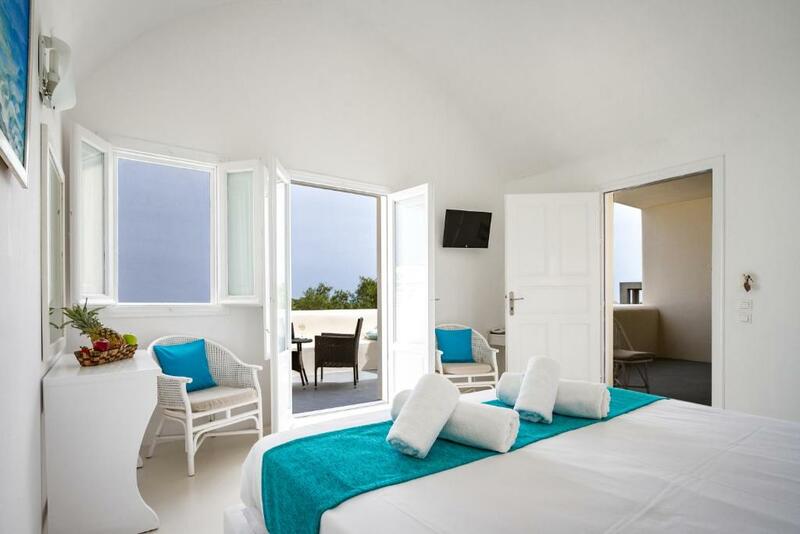 This suite has 2 balconies that provide a sea view and a mountain view. It features a kitchenette with a stove. This 2-story unit has 2 balconies that provide mountain view. It features 2 bathrooms and a kitchenette with cooking hobs. This spacious 2-story unit has 2 balconies that provide mountain view. It features 2 bathrooms and a kitchenette with cooking hobs. Please note that an extra guest can be accommodated at a sofa bed (see hotel policies). 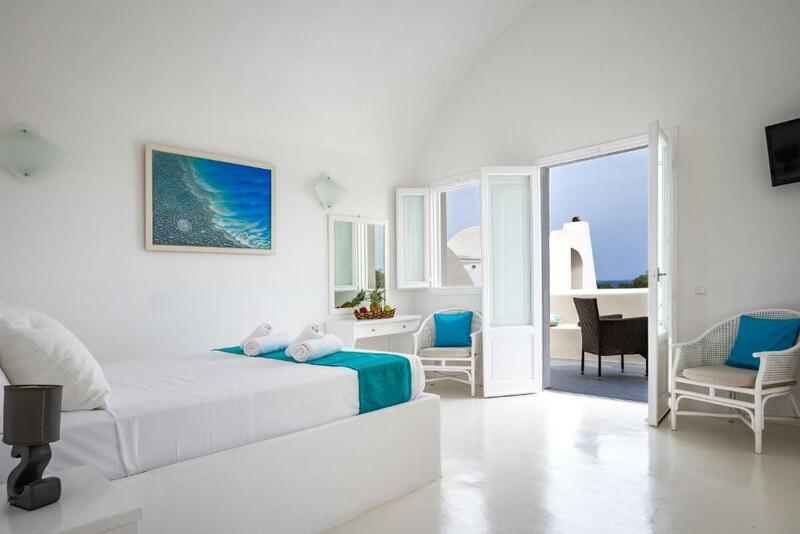 This romantically decorated suite offers panoramic views over the Aegean Sea. Guests are offered a bottle of champagne, fruit and wine, as well as flowers. Enjoying views over the Aegean Sea and the mountain, this villa is elegantly decorated with antique furnishing and artistic paintings. This double room features a balcony, kitchenette and air conditioning. Boasting a private plunge pool, this elegantly decorated suite is located by the seaside and has a furnished balcony, a private entrance and a flat-screen TV. Boasting a private plunge pool, this elegantly decorated suite has a furnished balcony, a private entrance and a flat-screen TV. House Rules Sea Sound White Katikies takes special requests – add in the next step! Sea Sound White Katikies accepts these cards and reserves the right to temporarily hold an amount prior to arrival. 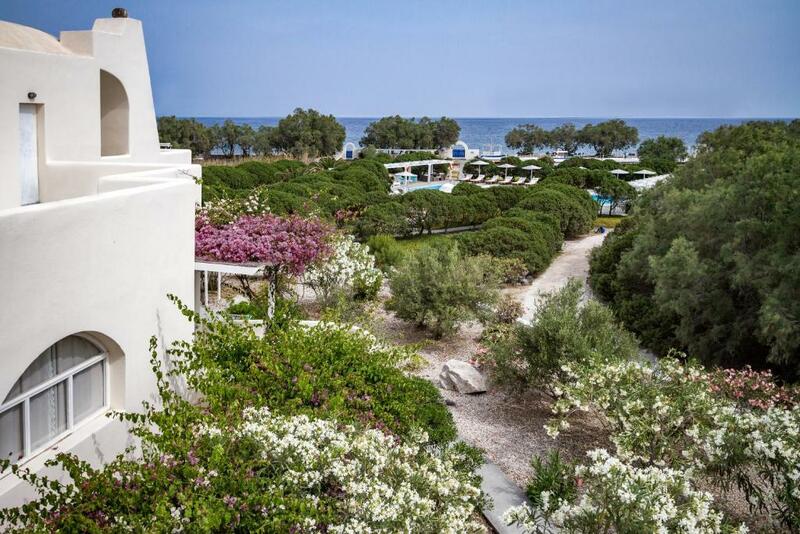 Please note that Sea Sound White Katikies serve Greek Breakfast, certified by the Hellenic Chamber of Hotels. Treats include eggs, yogurt, honey and fruit. Please inform Sea Sound White Katikies of your expected arrival time in advance. You can use the Special Requests box when booking, or contact the property directly using the contact details in your confirmation. Lack of public transport in regular basis right outside the premise. Rented car can be a good alternative. Also recommended to use the hotel bikes (Free of charge) for near distances. Kind of isolated. Need to have a car to go around. Just as described and portrayed on the website. Should you want to discover the island you will have to rent a car. Bus stop is far and to get anywhere by bus, you need to make a bus transfer in Thira. To have a meal otside hotel you also need to take a car or taxi. The house is a bit too traditional, including curtains instead of doors. Poor customer service. Unfair rate. I wouldn't recommend it. During my stay with my family, there was a strike of ferries. We called the hotel requesting to cancel one night as we were not able to make it due to a national strike. The person in the phone from the hotel was very rude, and told us that It was not his problem. It was a bad customer service. Most of the hotels during that week of strikes were flexible with tourists (as they knew tourists were not responsible for a strike, which is an internal country issue), but this hotel was not flexible at all. At the end of the day, we had to pay for two nights and we only stayed there for a few hours only. Also, the bathroom were not clean and pictures don't look like they are in reality. There are thousands of better hotels in the area. Waste of money and worst customer service experience I have ever encountered!!! Beautiful Location with Friendly Family Staff that will help you with all your needs, would highly recommend. The facilities are a little outdated - the air conditioner stopped working in our room on our last night and the kitchen facilities were extremely basic. 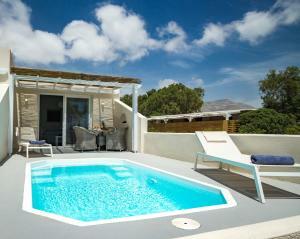 I wouldn't rely on being too "self contained"
Sea Sound is located in a lovely quiet area of Santorini. This is definitely a place to come to relax. There are a few restaurants within around a 15 minute walk, however it would be recommended to have a car or scooter available to get around to see the sights. The staff here were extremely accommodating, nothing was too much to ask. They helped arrange car hire for our family and even took our washing to a local laundromat for us. The pool area was great and we had an enjoyable 4 days with the family. The double rooms don't offer much in terms of kitchen facilities, but on request, the staff provided a kettle, cups, plates and cutlery. The hotel is in a secluded location on the island. One really needs some form of transport to get to shops and services. The room was really amazing. We stayed in a double room for one night and then were offered a double room with a private pool for the remainder of our stay, simply magic! The staff went out of their way to make our stay a happy one. This hotel is in a fairly remote area and we found a car necessary to visit main towns. The advantage of the location is that it is not crowded and we almost had the beach to ourselves at times. Joanna who runs reception was amazing. Nothing was too much trouble and she arranged lots of excursions for us. The pool was fabulous with lots of seating and shade available. Close access to the beach too. Daily cleaning and clean towels. Beach towels also provided. Food available at the bar all day with good selection. The cleaners do not do a good job with daily cleaning. Not everyday were clean towels or replaced toiletries. Filthy covers. The room needed a good freshen up. It is far from everything. Unless you hire a quad you will find it very difficult to see anything. Lack of taxis so we ended up walking 35 minutes one evening. Lovely pool and lovely staff. Very welcoming to join for a family bbq on the first night we arrived and it was delicious.